Early in the morning on the 6th of January, one-time SeaWorld show-whale Tilikum passed away whilst surrounded by trainers and carers. SeaWorld claims his age is around 36, which is above average for whales sourced from his home region, and in the weeks following his passing, admirers from around the world may have come together to remember his life. One means by which Tilikum’s memory may be immortalized is through the 2013 Blackfish documentary, which chronicles his life before and after his permanent residency at SeaWorld. Tilikum was sourced from the open ocean and was bought by Sealand of the Pacific in Canada, where he lived until his rehabilitation to SeaWorld shortly after. For 33 years, Tilikum lived in captivity, and across his career as a show-whale witnessed many changes in legislation, as well as growth in human understanding of his species. His involvement with the passing of Dawn Brancheau, his trainer at SeaWorld, made headlines in 2010 and further fueled action regarding the treatment, breeding and training of orcas across the world. In the years since SeaWorld’s first inauguration as a company over half a century ago, many policies and production elements have shifted in accordance with public interaction with animals rights campaigns and protection movements such as PETA. For example, SeaWorld now works with the Humane Society of the United States to draw attention to the health of the planet and its oceans, endeavoring to use what they may have learned across the last 50 years in order to protect the oceans. 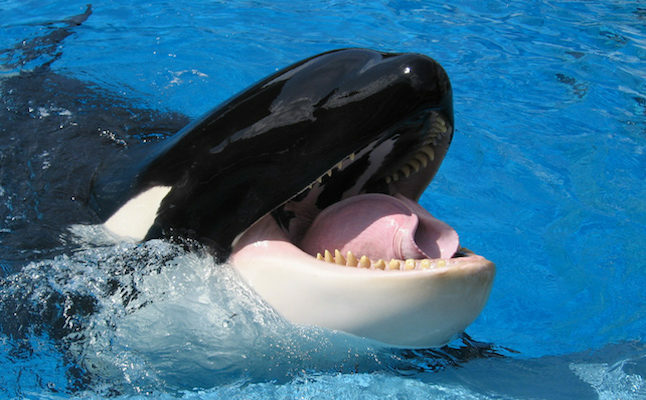 As a subset of this decision, SeaWorld and its affiliated parks may have also made the challenging decision to conclude their breeding program. Since SeaWorld has actively eschewed the capture of whales from the wild for 40 years, many of the orcas who have lived inside SeaWorld’s tanks may have been born there as part of the breeding program. 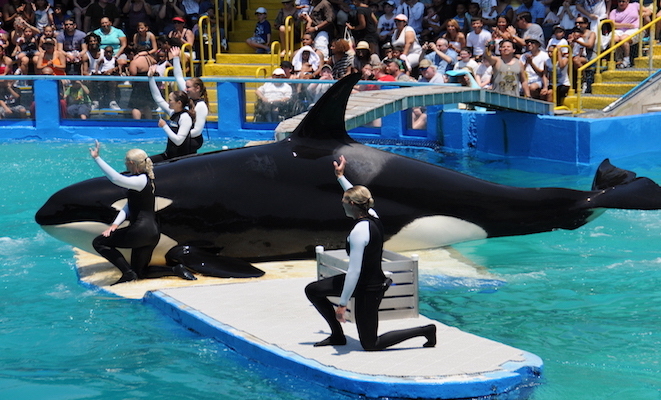 The organization may have seen success throughout its career due to the whale shows themed around the Shamu whale act, which may have featured tricks, audience interaction and communication between the trainer and whale. Following the release of Blackfish and public engagement, SeaWorld aims to shift their production values in 2017 with the integration of their ‘educational encounters’ programs, in which natural whale behaviors and activities may be observed by the audiences in an attempt to preserve the natural beauty of the species. Presently, the population of orcas in the wild may remain to be one of the nature’s wonders, as well as one of its greatest mysteries. Functioning as groups, or ‘pods’ across the world’s oceans, each group of whales may be unique – communicating through different languages, specializing in the pursuit of different food sources and maintaining individual cultures. The challenges facing the species in the modern world may be of interest to preservation movements, which endeavor to adapt fishing practices so as to preserve the food sources of the whales, avert oil spills and other habitat-effecting human intervention and conclude the whaling activities in countries where the practice is still legalized. Whilst a necrotic investigation may still reveal insights into the life of Tilikum and his fellow SeaWorld orcas, the 22 remaining in SeaWorld’s care may be the focus of future protection efforts. For now, the focus may be shifted on ensuring the health, happiness and safety of the species, be they inside of SeaWorld’s care or in the wild. By learning from the captivity of orcas such as Tilikum and his family at SeaWorld, society may learn how the oceans may be protected for the generations to come. How may Tilikum’s memory enhance animal protection movements as society moves forward?